A few months ago, I stood at a podium, looking out on an audience of Christian writers and bloggers. While speaking, I could see such eagerness in the women — wide eyes, pens poised, leaning forward. My view of the audience left me on the verge of tears. Why? Because I had been in their seats before. What, they wondered, was the secret to getting a book published? If I knew the secret sauce, I swear I would have given it to every one of them. I looked out on these women and imagined the books that sat inside of their hearts and journals. Books about how they’d survived divorce, repeated miscarriages, the battle with cancer. Books about great adventures, shenanigans, doors closed, doors opened, embarrassing moments, clever stories. But I couldn’t deny the call of God. What do you do when the call God gave you, appears to be undercut by your platform, your experience, or your abilities? What do you do when the timing seems off, and all you can do is wait in the blue glow of your computer screen? That day at the conference, I offered some encouragement for anyone who is asking those questions today, whether you’re a writer, an artist, a teacher, a mom, an entrepreneur, or a missionary. I hope my words encourage any of you who are waiting for your time. I don’t, in fact, know the secret-sauce recipe for you to get what you want. I have something better: truth. The truth sits like an anchor in the first chapter of the Book of Acts. In the story, Jesus presents himself alive to followers. He offers instructions before he disappears to heaven. Put yourself in the story. Imagine yourself as one of these eager followers. Imagine how intently you would listen, hanging on every word and wanting to do exactly what the Savior asked you to do. The one question these followers ask (Acts 1:6) is essentially this: “When?” When will Your plan come to pass, God? Isn’t this the question we’re all asking? When, Lord, when? When will God’s promises unfold? When will my dream come true? “You don’t get to know the time. Timing is the Father’s business. What you’ll get is the Holy Spirit. And when the Holy Spirit comes on you, you will be able to be my witnesses … even to the ends of the world” (Acts 1:7-8, The Message). This is what I know for sure. If God called you to this, he will walk you through this. His will. His way. His timing. We don’t get to the know the time. Your size doesn’t nullify your calling. It actually doesn’t matter what the experts say, so long as God called you to this. Remember that early group of followers in the Book of Acts? There were only 120 in all. The “experts” would have said that there is no way that 120 people could accomplish the tasks that Jesus asked them to do — to carry his message to the ends of the earth. Imagine them sitting in the blue glow of their computer screens, Googling the question: “Is a platform of 120 people big enough for this task?” Google would have said they were way too small. But the fact is, a little tribe of 120 would be the beginning of the most important movement in earth’s history. God’s plan is unstoppable. His plan is bigger than your problem, bigger than your platform, bigger than your hang-ups, bigger than your “bad luck.” God is bigger than everything. If God can take a group of 120 people, empower them with the Holy Spirit, and within a short time, grow them to 3,000 then thousands, and then millions … well, just imagine what he can do with you. “You don’t get to know the time,” but you do know the Keeper of the Clock. Our featured writer this week is Lisa Murray. If you’re in a hard season and long to find a way to give thanks in the middle of the pain, I believe Lisa’s words will be an encouragement to you. Find Lisa here. “His Will. His Way” are four words that make me want to stay close to truth, to not settle for a short cut or to take some other way. Thanks for sharing your blue glow story, and I think we’re all excited about what your new news might be. I don’t want to settle for shortcuts either, my friend. I think we’d miss out on the beautiful view of the longer, intended journey He often has for us. Thank you for the reminder of His way, His will and His timing. God shows me this in my own life constantly. You are a treasure Jennifer! Mary, I am so grateful for you. Thank you for your kindness. Just really trying to stay the course here. Trying to live what I preach: His will, His way, His timing. And then…I read your words today. I think God is using you even more to confirm what I need to do. Thank you. (And can I just say that finally hugging you in real life last month was an absolute gift? I wish we lived closer…I’d love to share a long chat over coffee.) Blessings! Oh, girl. I feel such a tenderness for you right now. SUCH a tenderness. I can picture you with your tears and your prayers and your coffee … and your exquisite words. I wish I could set across from that table and cheer you on, my friend. His will. His way. His time. Love you. I dropped a mite or two into the great big ocean of the Internet this morning with words on my blog… but when I think about a book and trying to accomplish that apart from God’s timing and will…well it would be impossible…until then (or maybe, never? ), I’ll be handing out cold cups of water when I have them to give, when they flow through and out from the Well. I am thankful that I have watched from afar as you became an author. I have seen God lift you up in this time to speak truth and write words. You have and continue to be a blessing to me. May God continue to bless you in the days ahead…for His glory. Oh friend. You are handing me a glass of cold water right now. Refreshing. Just right. I sit here some days and think, “Am I doing this right?” “Do these words matter?” “Do you want me somewhere else today?” But I feel like He keeps sending me back to this seat in the office, by this big window overlooking open Iowa sky, and I keep plunking down words, and hope by His will, he uses them in some way. Your encouragement today means a great deal to me. Thank you, friend. Your post is very timely for me, Jennifer. Thank you. I’m so grateful and glad that Love Idol was eventually accepted, because what a book! Thanks for constantly inspiring and encouraging others. Bless you! Thank you for this truth and encouragement. My husband thinks I have a book to write, but I don’t know what. But I do feel called to write my little blog, so I keep plugging away. This post speaks to me as well. I’ve read some of the other comments, and amazed at God’s timing. I have been thinking about writing somehow, but what format? I do not think a blog would be right for me, but have not considered the possibilities. I am a cancer survivor. The cancer is totally gone, “no evidence of cancer” in all the CT and even PET scans. However, I am left weakened by the treatments, and a permanent radiation scar in one lung which leaves me short of breath sometimes. I have tried to work at a part-time job, but have been unable to keep consistent hours because of fatigue as well as the many follow-up doctor visits. I am realizing that this is a long-term journey. BUT GOD—– has sustained me throughout, and remarkable well. This is what keeps me – His will, His Way. I don’t get or need to know the time, I just need to be obedient. Love this encouragement, Jennifer: “You don’t get to know the time,” but you do know the Keeper of the Clock. Thank you for words that speak to my heart as I wait on His timing. This message of encouragement was one of my favorites at She Speaks 2017. I ordered both of your books on Black Friday, and can’t wait for them to arrive! Thank you for consistently offering encouragement to fellow writers, Jennifer. 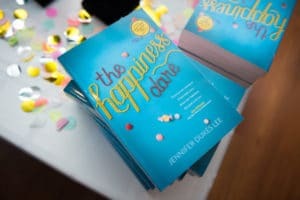 Jennifer, every author needs to read this post, and frankly, anyone w/ any dream that God has implanted in her heart, which He will bring to fruition (because it is HIS idea)! I understand this angst only too well. God put a burden on my heart to write a book on prayer-journaling. I said yes, and sent out proposal after proposal. I attended CLASS, well-known author and speaker Florence Littauer’s training seminar, where in fact I met Lysa Ter Keurst, now prolific author and head of the conference where you spoke. Nobody knew her then. She was a wannabe as was I. We were both trying to build speaking platforms before the days of the Internet and blogs. Ten years after God planted that dream on my heart (it was not anything I particularly sought to write, but an idea I know He gave me, His words, His way, after much prayer), my book was finally published. However, it was a most circuitous route. First, He had me write two other books (about which I had no clue at that point), before He would publish my passion book. Then Love Letters to God: Deeper Intimacy through Written Prayer was rejected numerous times, including FIVE times by its very own publisher!! And then, this is the really astounding part: When the editor told me they had finally agreed to publish it, they were going to do so even though they didn’t think they could sell it!!! She said, “They decided to publish it anyway, Lynn, and that has never happened in our history!” Right, why on earth would it . .. . unless it was God! So yes, my book was His will (because it was indeed published even though its very publisher said they couldn’t sell it b/c I had–basically–no viable platform, and then Love Letters was published His way (a long round-about road to its publication–not what I had envisioned). Now, I face something similar. God has begun to lay a burden on my heart to write again, and frankly, it’s pretty discouraging. After a long hiatus from professional publishing, one agent “tolerates” me and answers my questions, but I can tell, he doesn’t think this is a real possibility. Another agent w/ whom I have a real contact told me that NONE of my other book publications even count now. In his opinion it is as if all that work and real publications are negated b/c too much time has lapsed. So I’m really prayerful about what to do. I just know God has given me the burden. Maybe God’s way will not be traditional publishing. There are other publication possibilities. I just know I want to obey, daunting as it is. Thank you for your encouragement, and maybe my comments about impossible publishing coming true with my 3 books, when editors/pubs back then told me nobody would publish a no-name author, will serve as some small inspiration for them to keep trying, keep obeying, and leave the results to God. Love you, and can’t wait to read book # 3!!! Thanks so much for this. I had wanted for years to write a book once my kids left the nest. Instead, we brought my mother-in-law home to live with us. It was the right thing to do, and I know that’s God ministry for me now, but I have to admit, honestly, I chafe at not getting to those writing dreams and wondering if they were just my dreams or God’s direction. And then the whole platform thing – I always thought it odd publishers wanted you to have a large platform BEFORE publishing your book. It seems like that would come after. But all I can do is trust the Lord’s will and timing. This post was very encouraging. Barbara, your scenario is so similar to mine, though instead of caring for a mother-in-law, I’m helping our son and daughter-in-law with their two young children. (I think your task is more difficult than mine.) Getting published, even self-published, is on the back burner for now. Then there’s the whole marketing thing. Overwhelming. And I too wonder if I only thought God wanted me to write, but it was really just a personal dream. With you I press on, writing as I can (a once-a-week blog for one thing), trusting that God has a plan and purpose through the waiting and uncertainty. In his time, indeed! Thank you. Thank you. I could go on and on and on about why; but, I feel you most likely already know. God bless you for this sharing. I love your words and deep encouragement here. Thank you. Boy, did I need this reminder today! The pressures of work AND trying to build a platform seem overwhelming. The timing isn’t my problem or a monkey I should let ride around on my back. God has a plan. He’s called me–I just need to be faithful in the little steps I can make as I wait! Back to say “thank you” for hosting #tellHisstory! I’m delighted to be joining you this week. Thanks for your wise and gracious advice and insight, Jennifer. It is very much appreciated by myself and I’m sure every other writer/blogger who joins you in this space. “Your size doesn’t nullify your calling.” Thank you, Jennifer for the powerful reminder that Jesus started with 120 followers. (I had to smile since that’s the term we use for our blog readers!) Many of us do have our doubts about making it to the publishing finish line–even if we began in full faith of our calling. We start to second guess whether God was the One who ordained the writer-track for us or if we ran ahead of him. Thank you so much for your refreshing, heartfelt encouragement! 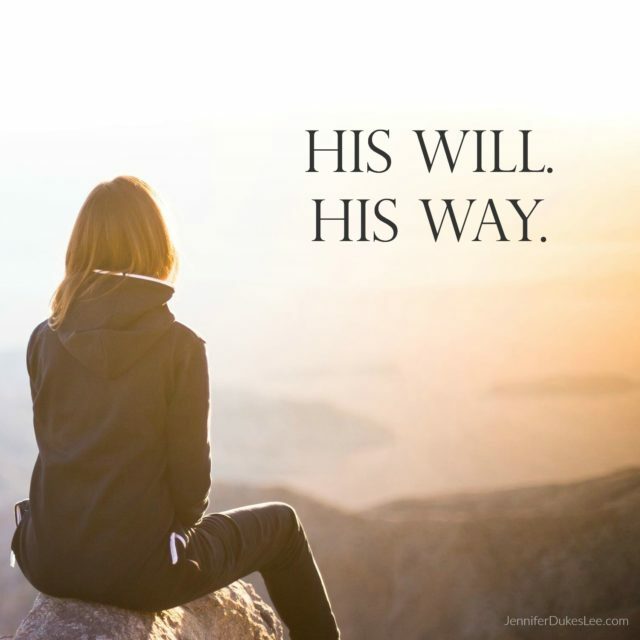 Yes, His will, His way. It’s always best and always just right. I was so blessed to be there, Jennifer! Your session was such an confirmation to me that day, and it is God’s timing that I’m reading about it again now. I’m writing the book you helped me believe in that day. 💜💜💜And I needed these words again because it seems too overwhelming for me. Once again, He is reassuring me that He will walk me through it. Thank you, Jennifer! What a blessing your post was. Feeling God wanting me to rest a bit this month and focus on my family but didn’t see how that was possible. I somehow forgot its all God’s plan. Becky, it’s the only story I have!!! I needed this today, Jennifer. I’ve been working for months to land a publishing contract (I think I even walked past you in a hallway at a conference in North Carolina where I was hoping God would open a door this summer! ), but it seems the timing is not yet right. Your words about trusting Jesus in the timing and in all parts of this process are what I needed to hear this morning. Thank you for faithfully serving women on mission! I’m grateful for your compassionate heart, transparency, and kindness! These things radiate from you! First of all, what a teaser you left us with! Can’t wait to hear the good things on the way! Secondly, I love this. Every bit of this. I want to tape it to my computer screen, to my wall, to my heart. God rarely uses what man thinks is necessary. He loves small. That’s when there is no doubt that God showed up. This isn’t about us. This, all of it, has always been about Him. Amen! Jennifer, wow. Wasn’t expecting this this morning but it was what I needed. Brought me to tears. Through your words I was reminded that His calling is bigger than my lack of what the ministry world says I am in need of. It is easy to begin to think we are crazy for doing what we do, spending all the time and money on it. But you reminded me to be faithful, obedient to the call and leave the rest to Him. Thank you for your compassion for those of us who are where you once were. Many blessings my friend on your calling! Jennifer, this post is encouraging in so many ways. I especially appreciate the reminder that “your size doesn’t nullify your calling.” Whew! I BURST OUT LAUGHING when I read, “You don’t get to know the time. Timing is the Father’s business.” Because His timing proves sooooo good every single time! And yet, I always seem to think He’s late or I’m late. Yes! Yes! Yes! And the timing of me finding this post through Katie Reid’s post tonight… it’s just all gloriously, perfectly timed. This is His business! Pressure, off! Laughter… game on!